We have not seen Ranbir Kapoor is much spoken about any of his relationship like what he has for his relationship with Alia Bhatt. In one of the interview, Ranbir Kapoor stated, "It’s really new right now, and I don’t want to overspeak. It needs time to breathe and it needs space. As an actor, as a person, Alia is – what’s the right word? – flowing right now. When I see her work, when I see her act, even in life, what she gives is something that I’m aspiring to for myself. It’s new for us, so let it cook a bit." A few days back we have reported that how Anil Kapoor advised Deepika Padukone to not leave Ranveer Singh and she will not find right match besides him. 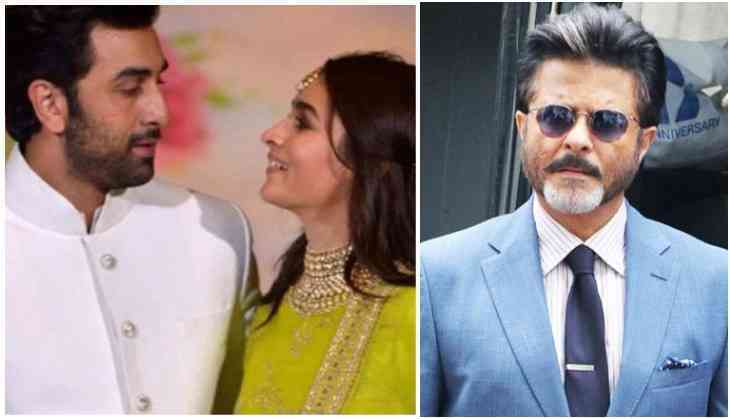 However, now we are going to tell what Anil Kapoor think of Ranbir Kapoor and Alia Bhatt's relationship and what he has an advice for the couple. Significantly, Ranbir Kapoor and Alia Bhatt are working together in Ayan Mukerji directorial trilogy Brahamstra, under Karan Johar's production house Dharma Productions.